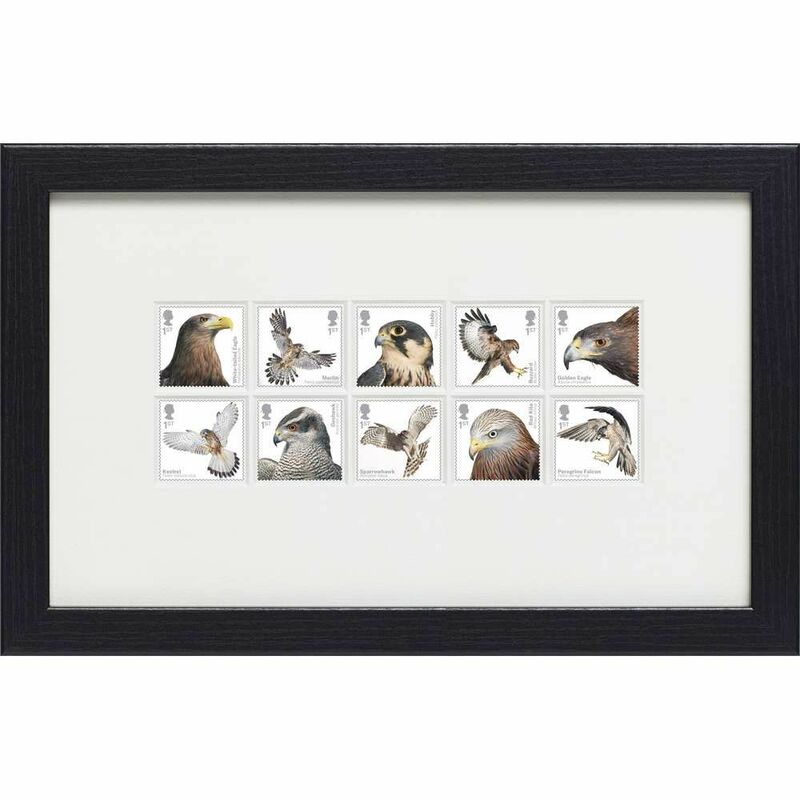 Ten framed special stamps celebrating our spectacular birds of prey. Birds of Prey, also known as raptors, were so heavily persecuted up until the middle of the 20th century that their numbers declined so much that many species were brought the edge of extinction. These beautiful, spectacular top-level predators have been protected in recent years and this Birds of Prey Framed Stamp Set N3162, which forms just part of the range, is a great way to show off these elegant stamps. This striking Birds of Prey Framed Stamp Set includes all ten first class stamps from the issue individually mounted in a stylish black box frame. All the featured birds were photographed at the International Centre for Birds of Prey near Gloucester.